Pilgrim Holiness Church of New York, Inc.
Rev. Morford grew up in central Michigan, where he was taken to church faithfully by his father until his father's death when Jason was 9 years old. The love of the people at his father's church drew him to Christ and he was saved in 2001. He met his wife, Bethany while attending Penn View Bible Institute in Pennsylvania. They married in 2007 and together have foster parented more than 25 children. He graduated from Hobe Sound Bible College, and then from Liberty University with a Master's degree in Theology. He has been pastoring for five years and in Christian ministry for 7+ years. He is a licensed minister with through the Pilgrim Holiness Church of NY Inc.
Mrs. Alexander has faithfully served on the Church Board as the Church Treasurer for the past 5 years and has been active in the Ministry of the Church for 20+ years. Mrs. Carter has attended the Syracuse Pilgrim Holiness Church for most of her adult life. She has taught Sunday School Class for the children for longer than anyone can remember. She has a passion for the children of Syracuse--this is evident in her teaching and reporting of the class and the goodie bags she creates for each child weekly. Charles is a native of Texas with an education in music and a heart for reaching others for Christ. His ministry of music blesses our congregation. He married his college sweetheart JoyAnna in the spring of 2018 and together they are reaching out to the youth of our church. 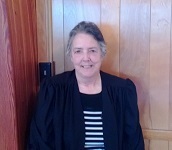 Sister Slayko has served the church as missionary president for the past year. Her commitment to careful preparation and consistent prayer is evident in the exciting missions services she shares with the church people each month. Ron Abbott has attended the Syracuse Pilgrim Holiness Church since his youth. He is passionate about seeing the church grow and reach out to those in the surrounding community. He has served the church in a variety of positions over the years.